You’ll be driving in premium comfort wherever the road leads you in the 2019 Buick Cascada. This luxury convertible was designed for the free spirit in everyone, so what are you waiting for? Continue reading to discover why you should consider the 2019 Buick Cascada for sale in North Palm Beach. At the core of the 2019 Buick Cascada is its impressive 200-horsepower 1.6L Turbo 4-cylinder engine and 6-speed automatic transmission. This convertible’s HiPer Strut front suspension always delivers a smooth and direct driving experience. And when the weather conditions are treacherous, Cascada’s StabiliTrak® system helps you maintain control. A warm, sunny day is ideal for letting the top down to transform the 2019 Buick Cascada into an open-air convertible. But if the temperatures drop or the rain starts to fall, it only takes 19 seconds for the top to come back up. The new Cascada offers technologies that’ll make your life easier as you cruise the coastline. A standard built-in navigation system on the Cascada’s display always gets you where you need to go. Wi-Fi will keep you connected and entertained. Download the available myBuick app to your compatible smartphone to access a variety of services, such as locking and unlocking the doors and starting the engine, right from your device. Your safety is a top priority in the 2019 Buick Cascada. The available Forward Collision Alert feature warns you if a potential onward threat is detected. The available Lane Departure Warning helps you stay in your lane and prevent a possible collision if the car starts to drift. And with available OnStar® capabilities, you’ll be able to conquer any journey ahead with peace of mind. Check out the 2019 Buick Cascada at Schumacher Buick GMC of North Palm Beach and take it for a test drive today. 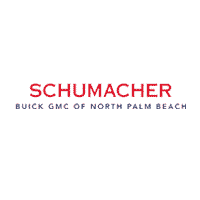 Search our online inventory to find new Buick cars for sale in North Palm Beach.